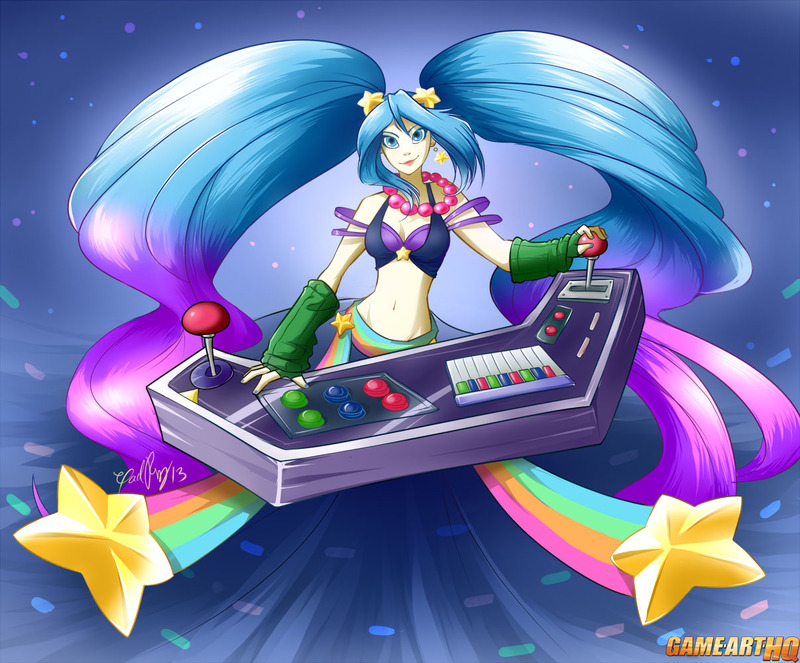 Arcade Sona from League of Legends! This here is Arcade Sona, a skin made available for a limited time by Riot Games which changes Sona’s look but also a lot of her animations and sounds (yay for chiptunes!) , and some of her abilities are changed to fit to the retro / arcade theme as well. This fan art by Gaelriz Stomples from Canada reminded me at the good old Dance Dance Revolution characters on first sight and i guess the legendary Bemani series played a role when this Arcade Sona skin was designed.